Wow. OK, everyone off my lawn! So this is before the ads for Boba Fett started showing up on the backs of action figures, yes? I don't recall if I've mentioned this here or not. I'm working on a kind of isolated score for the OT. (It's not an iso score per se because I'm making small videos that can be watched in a playlist rather than the entire film with dead air where there's no music.) I had the idea of adding captions that will identify the theme or motif that is being played. I might also add material from various liner notes. I'll see. It's a work in progress. Anyway, aside from my own knowledge I'll be leaning on this thread heavily. I saw the first one by accident. But the trailers for the second had me super excited. (Even if they were stupendously spoiler-y.) I admit, this one has me excited just because it's a Dragons movie. How many different substances was Ford on? And how much? I do wonder if this was taped the day after Eric Idle's party. On the other hand I was led to believe that Fisher and Ford were bombed out of their gourds for most of Star Wars and Empire (at least). 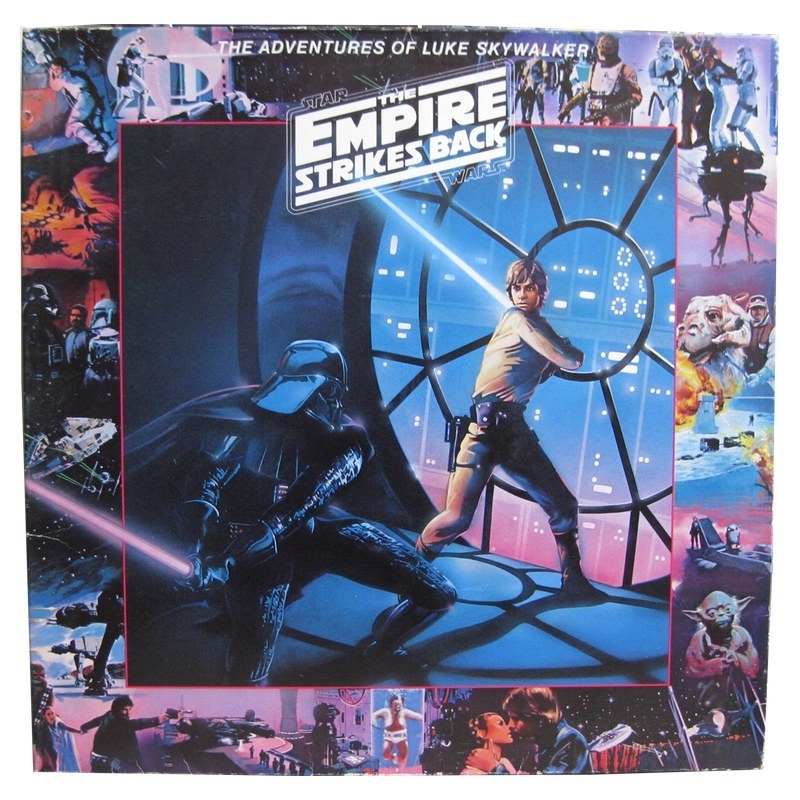 Super Star Wars had a remarkable amount of Star Wars score (rather than just the basic themes) IIRC. The Blue Box is incomplete! How often to do you actually listen to LLL's John Williams releases? Why wasn't Close Encounters on the list? I listen to that one a lot. I listen to Empire of the Sun as much as I did the original. Only now I listen to that one. Funny thing: I think Rogue One was terrific but Solo was pretty much just what I wanted out of a Star Wars movie. Han and Chewie getting into and out of scrapes, Star Wars locations, fun characters. I just wanted more light. And no, I didn't need to know "why" his name was Solo. If they made another one we would get all of the good bits of Solo without any of the "We have to tell the backstory" nonsense. I liked it. It's far from my favorite Star Trek, but I watched it and I'll watch season 2. Especially the pale ones. In all seriousness, I want to see Klingons from different worlds in The Empire and have them acknowledged as such. And show some subject worlds / races. Hell, just make a season that's an adaptation of The Final Reflection. There's that as well. They're supposed to be an Empire. Also: Nobody cares. DS9 managed to show Worf walking around with TOS Klingons.